Connecticut is one of the smallest states in the nation. You can drive across it from end-to-end in 2 hours. In the late 1960s Connecticut did away with counties and put in its place a centralized form of government with state departments (Correction, Children and Families, Social Services, Consumer Protection, State’s Attorneys, Education, Public Defenders, etc.). But for all of these changes we maintained local town and city governance. As a result, Connecticut consists of 169 towns with 169 local governments. This, of course, includes 169 police departments. This focus on local town and city governance includes 91 municipal police departments, 37 resident State Police towns that are either policed by State Troopers or a combination of State Troopers and Municipal Constables, 12 College and University Police agencies, 2 Railroad police agencies, 2 Tribal Nation Police Departments and 18 Protective Service Agencies, which include agencies such as Department of Motor Vehicle Inspectors, Conservation Officers, etc. And that is where Connecticut’s work begins. 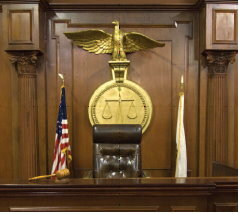 This article focuses on how Connecticut’s leaders successfully created and implemented statewide eyewitness identification reform. In 2011, Public Act No. 11-252, Section 2, created the Connecticut Eyewitness Identification Task Force, and mandated that it focus its efforts on: “The science of sequential methods of conducting a live lineup and a photo lineup, (2) the use of sequential lineups in other states, (3) the practical implications of a state law mandating sequential lineups, and (4) other topics as the task force deems appropriate relating to eyewitness identification and the provision of sequential lineups.” The following year, based on the Task Force’s recommendations, Public Act No. 12-111, An Act Concerning Eyewitness Identification Procedures was passed unanimously by both chambers of the General Assembly and signed by the Governor. The Task Force’s membership consisted of the entire spectrum of critical interests, including: members of the Connecticut Police Chiefs Association; the executive director of the Police Officer Standards and Training Council (POST); representatives of state police; the Co-Chairs and Ranking Members of the Judiciary Committee; a retired judge; representatives of the Offices of the Chief State’s Attorney and Chief Public Defender; legal scholars; social scientists; the State Victim Advocate; a representative of the Connecticut Innocence Project; representatives of the public; and representatives of the Bar. need to establish reliable identification procedures The Task Force began its work in mid-September, 2011, by bringing distinguished experts in the fields of human memory, police procedures and best practices to our State to present their research findings and field experiences regarding the use of sequential and simultaneous arrays and lineups. The Task Force also reviewed the legislation and recommendations of committees in jurisdictions throughout the country. rather than simultaneous arrays produces more reliable results in reducing the incidents of identification of innocent persons without significantly reducing the identification of actual perpetrators. A simultaneous procedure involves presenting to a victim or a witness of a crime a number of photographs, referred to as an array. Among the photographs is a photo of the person whom the police have identified as the suspect of the crime. The witness is asked to view the array in its entirety to determine whether the witness can identify the perpetrator of the crime. A sequential procedure involves presenting the photos in the array to the victim or witness one at a time, rather than all at once. Double-blind procedure means that the police officer administering a photo or live lineup should not be aware of the identity of the suspect, and the witness should be told that the officer does not know the identity of the suspect. Additionally, the witness does not know, and cannot know, which photo in the array is that of the suspect identified by the police. Blind procedure means that the officer administering the photo array may know the identity of the suspect, but cannot know where the suspect’s photo is in the array, cannot know which photo the witness is viewing during the presentation of the photo array, and is not in a position to leak information to the witness or to give feedback to the witness regarding his/her identification. After careful consideration, the members voted unanimously to require law enforcement in Connecticut to use sequential rather than simultaneous presentations of photo arrays to witnesses. The Task Force unanimously voted to require doubleblind procedures, if practical, and, if not practical, blind procedures. The Task Force also arrived at consensus in other important areas, including police training, data collection and pilot programming. Connecticut’s Task Force recognized the evolving nature of the relevant social sciences and was well-aware that this area of study will likely continue to evolve and develop. For this reason, the Task Force is partnering with a university to establish an archive for data being collected by police that will provide an ongoing and informative opportunity to review Connecticut’s policies and procedures and identify any revisions that may be necessary in the future, and that will also provide a basis for further research in this important area of law enforcement. This year, The Task Force is monitoring the implementation of eyewitness policies and procedures, to ensure that, if necessary, best practices are updated and to gather data on the use and impact of the sequential and double-blind or blind method of eyewitness identification. Data are being collected on every eyewitness identification procedure conducted in the state. These data will be invaluable in understanding the effect of these new standards. Legislative reforms, no matter how well-intentioned, can only be successful with the input and support of those who are being asked to implement them. The Connecticut Eyewitness Identification Task Force placed significant value on the experiences, perspectives and advice of the state’s police departments. One of the most critical aspects of the legislative package being proposed was that the intent of the legislation was to provide guidance in the development of policies and procedures for Connecticut police. The task of creating the specific policies and procedures that both local and state police would follow would rest on the shoulders of the Police Officer Standards and Training Council (POST) and the Connecticut Chiefs of Police Association (CCPA). Further, data collection measures that would be required by Connecticut’s 169 police agencies was to be developed by POST and CCPA. The Eyewitness Identification Task Force identified several recommended best practices in the eyewitness identification process to be incorporated into the eyewitness identification policy of each police department. These best practices were derived from the research as well as from the expert testimony presented to the Task Force from both law enforcement and academic personnel. research and experience suggests a specific method or procedure that is effective in producing desired outcomes (i.e., while remaining practical, reduce the number of false eyewitness identifications while allowing accurate identifications). Instructions to Eyewitnesses Instructions to the eyewitness should be standardized using a standard form. The Eyewitness should be told that that the perpetrator may or may not be among the images that are viewed. The eyewitness should be told to view all of the images, even if they identify a suspect prior to viewing all of them. Relationship of Images to Eyewitness Descriptions Images selected for sequential presentation should be close to the eyewitness description (no obvious disqualifying features), but different enough from each other to prevent confusion or “look alike” difficulties. Number of Images The optimal number of images, presented sequentially, is six. Number of Times Images are Viewed (Number of Laps) and Shuffling of Images If the eyewitness asks to view the images again, the eyewitness should be told they can view the entire set of images again, after shuffling them so that neither the eyewitness or the administrator knows where the suspect is in the sequence. Use of Software to Present Images Any software used to present images should present the images in a manner that conforms with the above best practices. Written Recording of Procedure Each eyewitness identification procedure should be documented, with all of the images in the sequence stored as part of the record. 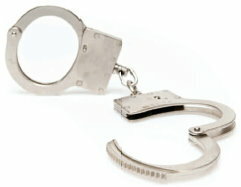 The instructions to the eyewitness should be documented, together with any discussion that occurs during the procedure. The total viewing time should be noted, as well as whether the eyewitness viewed the images a second time. Based on these best practices, POST developed a Uniform Policy and Procedures, Witness Instructions and a brief Data Collection Form to be sent in to my office by police departments that would enable us to track how the new procedures were being used. 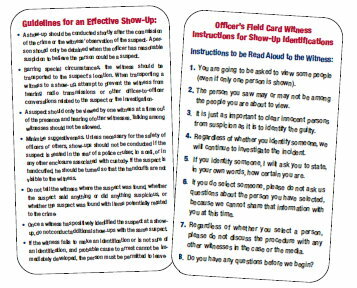 POST also created a laminated Pocket Card for every officer that could easily fit in their front shirt pocket which had guideline for an effective show-up and witness instructions on the other to be read aloud to the witness. With the assistance of national eyewitness identification expert William Brooks, Chief of the Police Department in Norwood, Massachusetts, we developed a Train-the Trainers Program for all training officers throughout the State on the new policies and procedures. To-date, POST is receiving data from the majority of our departments and while there may need to be some minor “tweaking to the procedures”, the implementation of the Task Force’s recommendations has been a seamless one. Eyewitness Identification Task Force has had and continues to have in the ability of Connecticut’s police to implement legislative recommendations in ways that would be most practical for the state’s police officers.